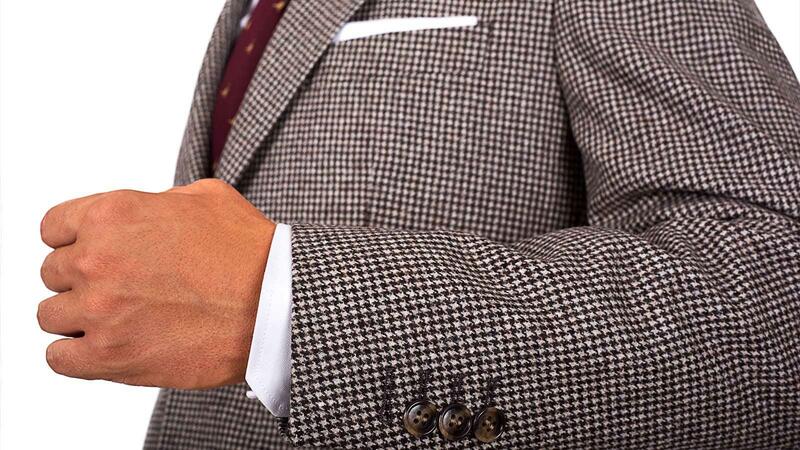 Menswear traditions originating from the countryside are often some of the more playful and interesting, such as this light brown houndstooth fabric (so-called because the weave resembles small canine teeth). 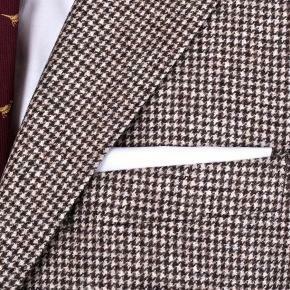 This is a classic design courtesy of clothmaker E. Thomas fitting in with its signature vintage style; it’s a cashmere and wool blend with a soft touch and will be sure to keep you both stylish and cosy this winter. 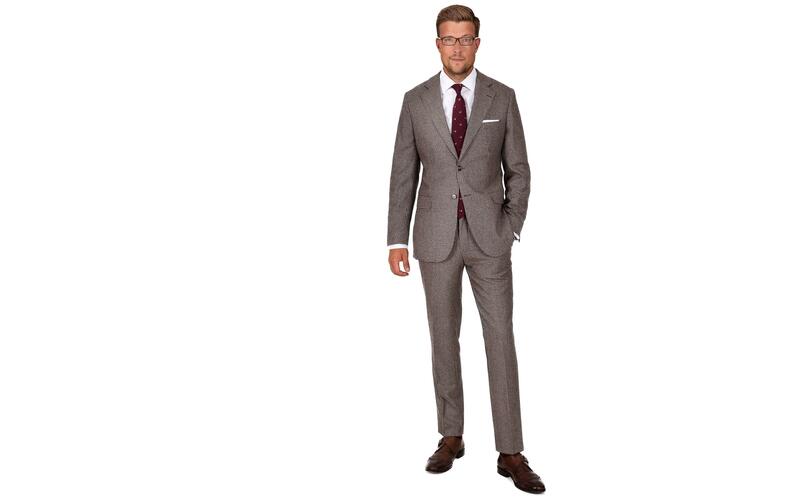 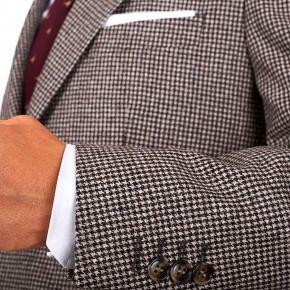 90% Wool & 10% Cashmere Autumn / Winter (10 oz). 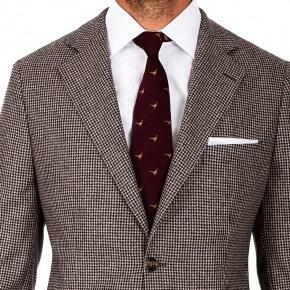 Woven in Italy by E. Thomas.